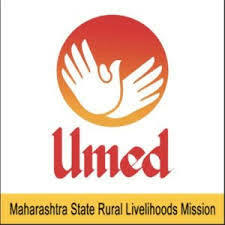 MSRLM ZP Washim Jobs Recruitment Notification 2018.Maharashtra State Rural Livelihood Mission (MSRLM) inviting applications for the positions of Accountant, Administration assistant, Peon, Division coordinator, administration & accounting assistant, data entry operator and peon posts.Interested and Eligible candidates can apply for the positions. Total number of vacancies to be filled on ZP Washim MSRLM is 71 Posts. Post wise vacancy details are given below. Applicants those who have possessed 10th standard/ MSC IT/ tally/ BSW/ B.Sc Agri/ MSW MBA/ PG in rural development can apply for above post. In Between 18 to 32 years candidates can apply for the post. Through based on candidates performance in written test and interview they will be selected. Mode of applying for MSRLM Recruitment is through online from 13th August 2018 to 27th August 2018.
http://washimmsrlm.govrecruit.in/ is the link to apply directly.